The Coworking Space located in Milano, Via Ventura 3, was the first one to open in town (and, most likely, in Italy). The project opened its doors on April 1st, 2008, thanks to the ideo of Laura Coppola and Massimo Carraro, the partners of the Monkey Business creative agency who decided then to share their office space. The following year, 2009, they decided to transform the concept they invented – called Cowo® – into a network project, providing a “starter kit” to anyone, in Italy, wishing to do the same, that is: turn part of their own office space into a coworking space, mixing one’s own job with theo professional skills of other, new coworkers interested in sharing the space. The Cowo® Network was born. Today there are more than 100 hundred coworking spaces all over the country sharing the Cowo® Logo, the Cowo® best practices, and – above all – applying the collaborative attitude described in the Cowo® Manifesto. 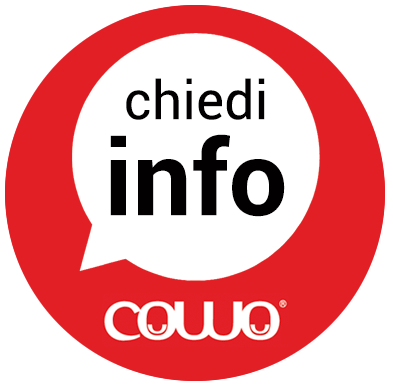 Working on the development of the Cowo® Network has not driven away Laura and Massimo from their main professional activity, which they continue to take care in their coworking space, withing their coworking community.